Death and taxes, the only two certainties in life! Unfortunately, taxes don’t stop just because you stopped working. Taking the time to review your sources of income in retirement and how those sources are taxed can make a big difference in when and how you decide to withdraw against your investments. Nothing the IRS does is simple, so it makes sense different types of savings and investment vehicles are taxed differently. When considering tax planning, make a list of the retirement accounts that you have. Furthermore, review the investment allocation of your savings portfolio, and discuss the implications of municipal accounts, savings bonds and other tax-favored holdings. A good place to start tax planning is with your 401(k) account. You may be able to keep it invested with your former employer until you reach the age of 70 ½. At that time, you may be required to begin taking minimum required distributions from the account. Upon termination of employment, you can roll your 401(k) balance into a Rollover IRA to keep the balance tax deferred. The same is true if your company offered a 403(b) or 501(c)(3) plan. Individual IRA and Roth IRA accounts have slightly different tax treatment (of course they do! ), so confirm what type of account you have before making a distribution. If you have inherited an IRA from a spouse or family member, that too may have different tax and penalty provisions, so it may be necessary to keep the assets in separate accounts. Pension plans and annuities that were part of your employee benefit package are fully taxable and cannot be co-mingled with your 401(k) funds. Some pension plans allow you to elect federal tax withholding, and others may require gross distributions. 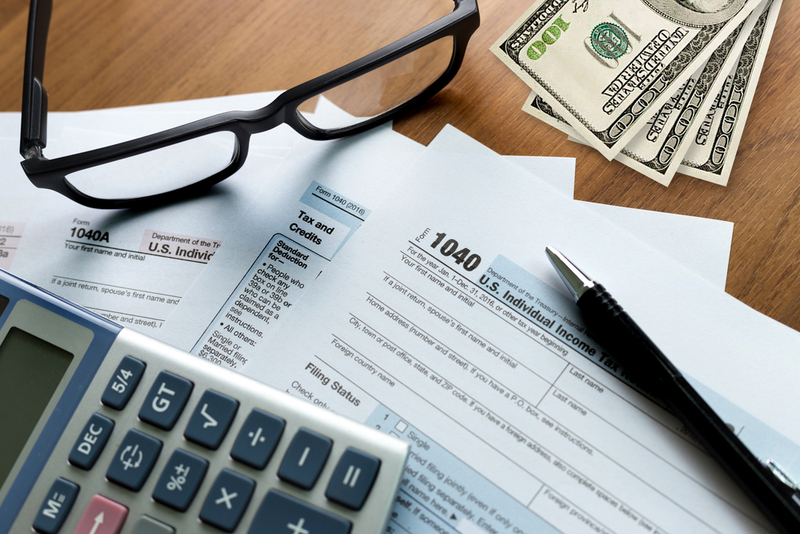 Tax planning around social security benefits can get tricky. A good rule of thumb is hold off on collecting social security as long as possible. The good news is you can get accurate information about benefits, distribution events, and tax liability from the Social Security Administration website. In addition to these types of retirement savings accounts, you may have company stock, one or more investment portfolios, as well as mutual funds and individual stock holdings. Each of these can be a source of income, but they will be taxable upon distribution, if they are not already taxable. Smart tax planning strategy begins with a comprehensive list of all savings, investments and sources of income. While you can’t avoid taxes, you can minimize the amount by planning what assets you will access first, and when. For further information or to begin making tax planning decisions, call Mooney Lyons and talk with a specialist. The more you know about what you have, the more you will end up keeping. The opinions voiced in this material are for general information only and are not intended to provide specific advice or recommendations for any individual. Mooney Lyons and LPL Financial do not provide tax advice or services.